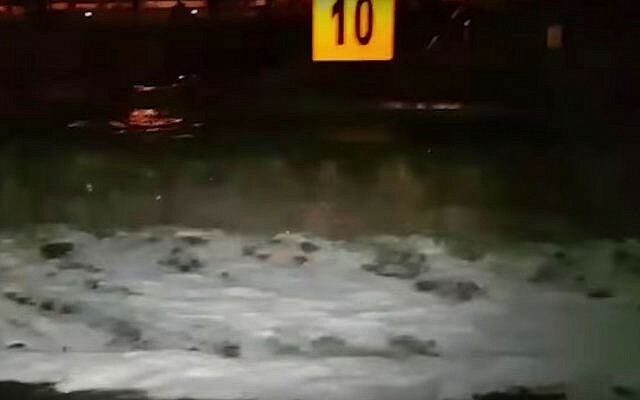 The airport in Eilat was set to reopen late Saturday after it was shuttered earlier in the day amid heavy rains that flooded the runway. Flights to and from the airport in Israel’s southernmost city were scheduled to begin again at 11:00 p.m. Bus services heading out of the city had also been suspended earlier but there was no immediate word when they were set to resume. Portions of routes 40 and 90 that were closed earlier in the day due to heavy flooding in the south were also reopened. “All of the roads that were closed earlier due to flooding have been reopened,” police said. The closures came after police warned against expected weather conditions that could lead to flash floods in some parts of the country. The weather in central Israel on Saturday was generally warm, but there were some rains in the south and reported hail in Eilat. This year has seen a number of instances of severe flooding, one of which turned deadly. This summer, a rare June downpour saw power outages and severe flooding throughout the country. In April, 10 high school seniors were killed in a flash flood during a hike along the Tzafit riverbed, near the Dead Sea. 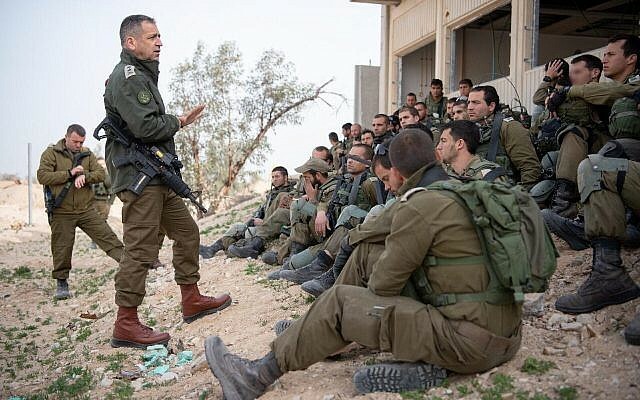 According to reports, the principal of the Bnei Zion Military Academy did not heed the advice of meteorologists or an Air Force weather forecaster who warned against taking a trip to a flash-flood prone area.